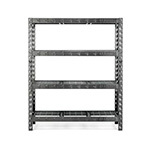 The new Gladiator Tool-Free Rack Shelving offers effortless assembly in a matter of minutes - all without a single tool. 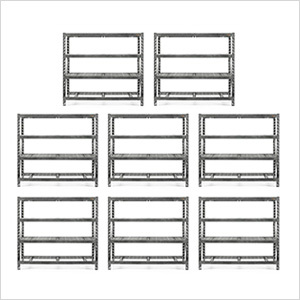 Its welded, heavy-duty frame and vast, four-tier surface area give you highly versatile storage potential for larger household items like snow tires, power washers, generators, mulch bags, garden hoses and more. 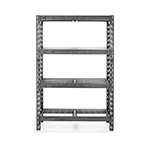 Ideal for homes or professional environments requiring maximum storage space combined with stylish design.